With the shift of users from Desktop Computers to mobile devices, it was imminent for the site like irctc to present a good and functional website to its users. In the beginning they provided www.irctc.co.in/mobile page. But it lacked functionality, and at times behaved in a buggy way. 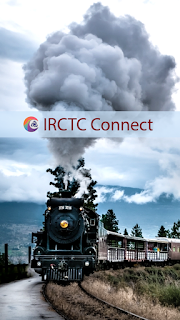 After giving the shift of users to mobile and small display devices a serious thought the official IRCTC Mobile App has been launched with the name of IRCTC Connect. After a lot of testing and experiments irctc has finally been able to put a descent application on play store for its users. This app is robust and works fine except few glitches like it will not give you the functionality of irctc.co.in. There is no option for ticket printing. You cannot book your ticket through irctc connect between 8:00 AM to 12:00 NOON. Tickets booked on the website will not show in the app. You cannot book TATKAL tickets using this app. App also lacks smooth navigation between the pages, for example if you selected a payment method you cannot go back and change it. To do so you you have to start the who process again. SWIPE and SHUFFLE, SELECT and BOOK. Yes now this app simplifies your life. It makes your ticket booking experience very smooth. You literally book your railway ticket with your finger tips. No need to have access to a computer for booking tickets any more. Please stick to the topic while commenting.